David Tennant is one of a highly talented vocal cast who can currently be seen in the latest How To Train Your Dragon film. How To Train Your Dragon: The Hidden World is in cinemas across the UK and Ireland now and is the third movie in the franchise, which is based on the best selling books by Cressida Cowell. It is currently top of the UK Box Office Charts. 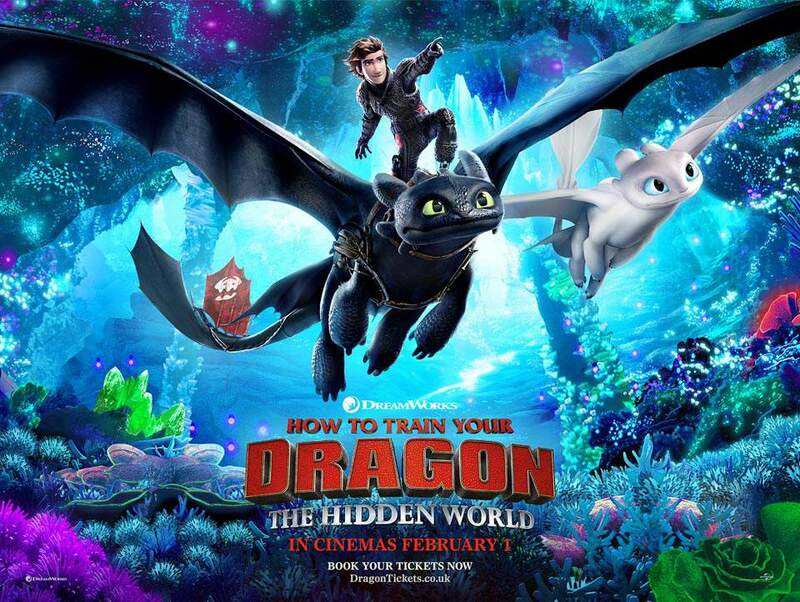 How To Train Your Dragon: The Hidden World is surprising tale about growing up, finding the courage to face the unknown…and how nothing can ever train you to let go. What began as an unlikely friendship between an adolescent Viking and a fearsome Night Fury dragon has become an epic adventure spanning their lives. Welcome to the most astonishing chapter of one of the most beloved animated franchises in film history: How to Train Your Dragon: The Hidden World. Now chief and ruler of Berk alongside Astrid, Hiccup has created a gloriously chaotic dragon utopia. When the sudden appearance of female Light Fury coincides with the darkest threat their village has ever faced, Hiccup and Toothless must leave the only home they’ve known and journey to a hidden world thought only to exist in myth. As their true destines are revealed, dragon and rider will fight together—to the very ends of the Earth—to protect everything they’ve grown to treasure. The DreamWorks Animation stars Jay Baruchel ,Cate Blanchett, America Ferrera, Gerard Butler and Kit Harrington alongside Ashley Jenson, Craig Ferguson and Jonah Hill. Director Dean DeBlois returns alongside the all-star cast. The film is produced by Brad Lewis (Ratatouille, ANTZ) and Bonnie Arnold (Toy Story, How to Train Your Dragon,How to Train Your Dragon 2). The movie will be released in the USA on 22nd February.